Devil's Tear is a spot of a cliff which when hit by waves, the cliffs will spout water blow accompanied by roar. The bigger the waves that hit the bigger the burst of water is also produced. 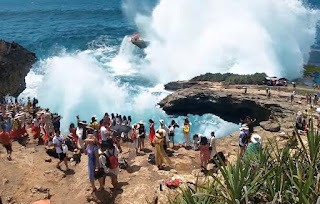 Devil's Eye is one of the main tourist attractions in Nusa Lembongan. 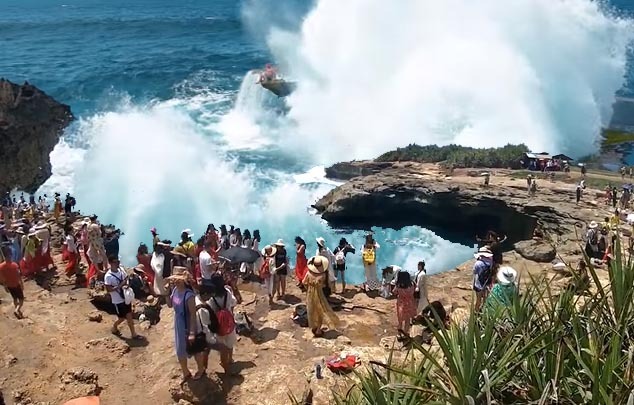 The hardness of the waves that hit the rocks caused the waves to fall back down like tears falling, combined with the pointed rocky cliffs and the sound of super strong waves, so this place was named Devil's Tear. To get this experience you can also come to Sanur Beach. From Sanur you will be taken by boat to Nusa Lembongan and enjoy this new adventure.